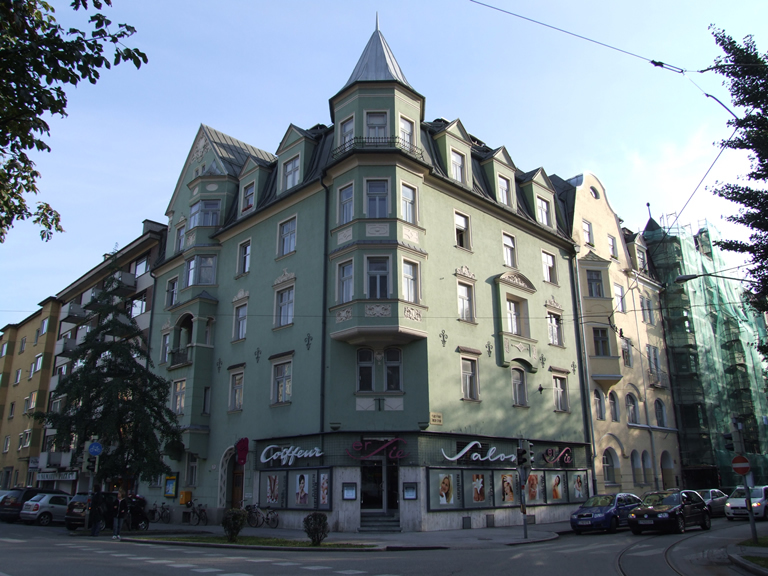 Since 1914 rabbi Dr. Josef Link, his wife Helene, nèe Stössel and their children Ernst and Irene had lived in a four room flat on the second floor of 24, Erzherzog-Eugen-Straße. Dr. Link had been rabbi for the Jewish community in the Tyrol and Vorarlberg for almost 25 years and shortly before his death in November 1932 he received the Golden Medal of Honour of the Republic of Austria. In March 1933 the native Pole Dr. Elimelech Rimalt was appointed as the new rabbi. Dr. Irene Link, a medical doctor, moved to Vienna in 1933, where she married the jurist Dr. Max Hitschmann. Her brother, Dr. Ernst Link, was a lawyer and was married to Regina Alt, a daughter of the Bauer family, who owned the famous department store. He was forced to dissolve his law office in 51, Maria-Theresien-Straße in 1938 and then he and his wife fled to Palestine. Helene Link had to stay in Innsbruck because of missing papers. Five SS men forced their entry into her flat, where she lived together with her long-standing cook Victoria Kuen. They tore Hebrew prayer books to pieces and insulted the women but they did not use force. On 24 November Helene left Innsbruck for Vienna and fled to her son in Palestine in December 1938. In 1947 she moved to the USA, where her daughter Irene and her son-in-law, Max Hitschmann, had moved in 1940. She died there in 1962.